The MGP leader, who was dropped unceremoniously from Sawant's cabinet, said agencies like the Enforcement Directorate and Income Tax had threatened him. 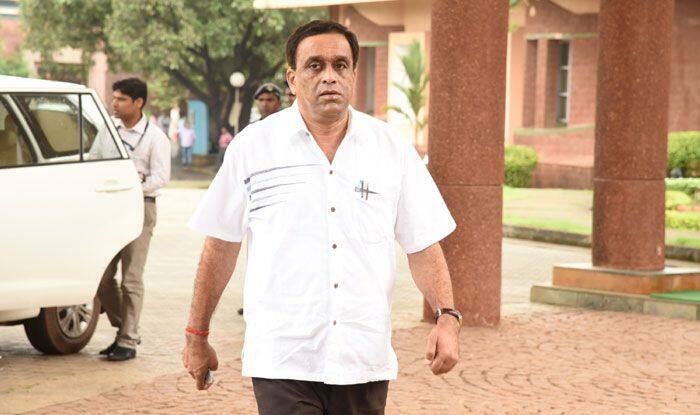 Three days after being left out from the Pramod Sawant-led coalition government, former Goa Deputy Chief Minister Sudin Dhavalikar on Friday said he is being threatened by the central enforcement agencies. The MGP leader, who was dropped unceremoniously from Sawant’s cabinet, said agencies like the Enforcement Directorate (ED) and Income Tax (IT) had threatened him, while the National Investigation Agency (NIA) has threatened to arrest his wife, who is linked to the Goa-based Hindu right wing organisation Sanatan Sanstha. “We have received a lot of threats over the last three days from ED, IT and from the NIA too saying that my wife will be arrested,” Dhavalikar told reporters here, adding that the threats are linked to the MGP’s refusal to back out from contesting the forthcoming Shiroda assembly bypoll, where the BJP has also fielded a candidate. “The family of Sudin Dhavalikar will not back down. These threats last for a few days,” Dhavalikar said. His wife Jyoti is linked to the Sanatan Sanstha. Some sympathisers of the organisation, which is based in Dhavalikar’s assembly constituency of Marcaim, are being probed by several state as well as national investigation agencies, including the NIA, in connection with the murders of rationalists in southern and western Indian states. Amid increasing animosity between leaders of the Bharatiya Janata Party (BJP) and the Maharashtrawadi Gomantak Party (MGP), Deputy Chief Minister Dhavalikar was sacked from the cabinet on March 27, hours after two out of the three legislative members of the MGP split and merged with the BJP, leaving Dhavalikar as the only sitting MLA from the regional party in the 36-member state assembly. While Sawant has maintained that Dhavalikar was sacked for anti-government activity and the insistence of the MGP leadership to contest the forthcoming assembly bypoll in Shiroda, where the BJP is also fielding its candidate, Dhavalikar said in turn that “chowkidaars committed political dacoity” on his party, while accusing the BJP of trying to destroy regional parties.